Computer science, data proliferation and cognitive studies are interwoven as complementary (even while potentially disruptive) concerns affecting virtually every other domain and discipline. As these concerns cut across fields, their impact takes multi-disciplinary approaches to new levels. 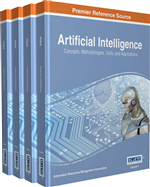 This chapter introduces Watson, the cognitive science cloud-based computing service offered by IBM, as it relates to several areas of high abstraction, high information processing activities – the work of experts. Watson's capabilities are shown to be far more complex than keyword search engines, demonstrating that through the use of supervised machine learning, additional value to the organization in the form of a learning cognitive system is created. The quantification of the value of the investment an organization makes in leveraging the expertise of their employees through cognitive systems, software and processes is considered from a financial accounting perspective. A new role in the organization to oversee adoption and ensure delivery of the value promised by the technologies is described – the metacognition analyst. The later part of the 20th Century gave rise to the notion of ‘information as power’ and ‘data’ as an asset. The first part of the 21st Century is emerging as the era of ‘Big Data.’ This ever-increasing deluge of data poses particular problems in the context of asset management. Data, as well as the processes that generate, store, forward and consume it, are identified by the IRS as ‘intangible property.’ By their very nature, these assets are difficult to perceive, let alone quantify. At the same time, even if left off the balance sheet, data, knowledge, and processes represent potential liabilities, and pose risks of leaks, hacks, and/or other loss that responsible management will mitigate. Organizations are constantly under existential threat and must adapt to changing circumstances to survive, let alone thrive (e.g., McCallum, 2001). As enterprises, and economies, shift their balance among five kinds of capital (financial, natural, produced, human, and social) increasingly sustainability arises from the ability to capture and codify expertise. Cognitive computing systems are emerging as a means of capturing and enhancing expertise, especially where experts face Big Data challenges to gaining actionable insight.1 These solutions are showing promise where multiple disciplines are involved in handling complex cases. Watson, as IBM’s cloud-based cognitive computing service is anthropomorphically named, provides useful reference examples of how this technology can augment human capabilities. As part of this augmentation, Watson demonstrates how beyond being a mere tool, extending the reach of human investigation, the service rises to the level of collaborator and colleague. The confluence of HPC (high performance computing clusters) hardware, natural language processing, deep Q&A hypothesis generation along with translation capabilities, allows Watson to infer hypotheses from very large scale unstructured datasets. This positions Watson to leap past the preliminary learning that must take place before a human expert can assimilate information into their personal cognitive model, refining and validating the underlying context in which the search for data takes place. Augmentation of human knowledge processing and decision making by technology is distinct from automation. With an augmentation approach the technology works with and adapts to the queries posed by the experts. The technology is designed to seek relevance to the goals and objectives of the user, and anticipates that these will change and become refined during the course of interaction. This can be contrasted to the role of computers as efficiency tools, where the main objective was to replace rote calculations, such as payroll and evolved to number crunching ‘what-if’ scenarios in spreadsheets, reducing the need for payroll and accounting clerks. A critical factor for the adoption of technology in this role is that human practitioners must be convinced that the results achieved will be appreciably greater than those obtained by human beings working without cognitive computing tools, (Davenport & Kirby, 2015). Through the lens of Watson’s application to several distinct domains including financial services, insurance and medical diagnostics, the contribution of the emerging computer science discipline of cognitive computing is reviewed. The interweaving of concerns such as computer science and financial accounting with the various problem domains shows an emerging pattern of an approach to multi-disciplinary investigation, with the resulting leverage of human capital into a sustainable, adaptive organizational asset, which can be quantified, at least for accounting purposes. In certain situation, such accounting yields tax and other balance sheet benefits to the organization sponsoring the exploration. In this way, expenditures on new and unproven technologies can be converted into strategic investments.